The UK Supreme Court has granted private shareholders of Bank Mellat permission to intervene in the Bank’s challenge to HM Treasury over a Financial Restrictions Order, which the shareholders say is unlawful and in breach of International Public Policy. A new dimension has been added to the attempt by Iran’s largest private bank to challenge the sanctions imposed against it by HM Treasury for Iran’s nuclear proliferation in the Supreme Court. Bank Mellat, who have been fighting accusations of involvement in nuclear ‘proliferation-sensitive’ activities in Iran, have been told by the Supreme Court that six of its private shareholders will now be allowed to make individual interventions at the Supreme Court hearing on 4th and 5th July 2012, which will review the legality of the sanctions. The bench of Lord Mann, Lord Kerr and Lord Sumption of the UK Supreme Court determined that Bank Mellat, who appeared in the European General Court last week to oppose similar sanctions imposed by the European Union, had a right to this support in the interest of preserving the rule of law. HM Treasury made substantial arguments objecting to granting of this permission which were rejected by the Supreme Court. The interveners, who are private shareholders of Bank Mellat, will tell the Supreme Court that their voting rights on the Bank’s business are not controlled by the Iranian Government. The interveners will inform the Supreme Court that the private sector in Iran has no leverage or influence over the Iranian Government and injuring the Iranian private sector by the sanctions imposed by the HM Treasury is contrary to the fundamental principles of Public Policy. The Universal Declaration of Human Rights, which was signed and ratified by all UN Member States in 1948, provides as its preamble that ‘recognition of the inherent dignity and of the equal and inalienable rights of all members of the human family is a foundation of freedom, justice and peace in the world.’ Article 17 of the same Declaration expressly provides ‘(1) everyone has the right to own property alone as well as in association with others, (2) no one shall be arbitrarily deprived of his property’ The preamble of the Declaration gives inalienable rights to all members of the human family no matter which country they reside in. The United Kingdom is a signatory to the Declaration. The Article 1 of the First Protocol to the European Convention on Human Rights (ECHR) provides that ‘every natural or legal person is entitled to the peaceful enjoyment of his possessions. No one shall be deprived of his possessions except in the public interest and subject to the conditions provided by law and by the general principles of international law’. The use of the word ‘and’ before the words ‘by the general principles of international law’ makes it mandatory that all laws passed by an EU Member State’s Legislature must comply with ECHR. The EU and the UK have exploited the legal umbrella of UN sanctions to impose additional and unilateral sanctions against Bank Mellat, a privately owned bank which has never explicitly been designated by the UN. The Interveners will submit to the Supreme Court that this act of the HM Treasury has the effect of disproportionately violating the inalienable rights of the private shareholders without proper legal foundation. Indeed, a share is a property like any other, and any damage caused to, or restriction placed upon, the property of an innocent private citizen in another country would be unlawful under the Public Policy of the United Kingdom. Importantly, the damage caused to the shareholders also adversely impacts the life of ordinary citizen. To take but one example, Saba Tanim (holder of 16.5% of the shares in Bank Mellat) is the investment arm of the Social Security Organisation (SSO) in Iran. The effect on Saba Tanim and the SSO of the restrictive measure imposed on the Bank is such that the quality of service and of medical care that the SSO can provide to Iran’s poorest citizens through its network of private hospitals and clinics has been reduced. This has an obvious impact on the standard of health care accessible by some 11 million ordinary Iranian citizens. Mention should also be made of the Provincial Investment Companies Association which manages 30 % of the shares in the Bank on behalf of some 42 million disadvantaged Iranian citizens, who were allocated shares when the Bank was privatised (as part of a Government initiative called the “Justice Share” initiative). These are the Iranians who can least afford to see their private investments lose value, and who are hit the hardest by the significant fall in value of the Bank’s shares caused by the restrictive measures. In the context of recent events in Libya, UN officials themselves have stressed the key importance of protecting innocent civilians from sustaining injury as a result of the wrongful actions of their own government. On this principle, it would not matter that the injury is physical – as in the case of Libya – or financial – as in the case of Iran. If, as it appears, sanctions against a private bank are illegitimate and in violation of international public policy and human rights, then that is undeniably wrong. This will not bring about peace and security in the world. The Solicitors firm Zaiwalla & Co are representing both Bank Mellat and the interveners before the UK Supreme Court. 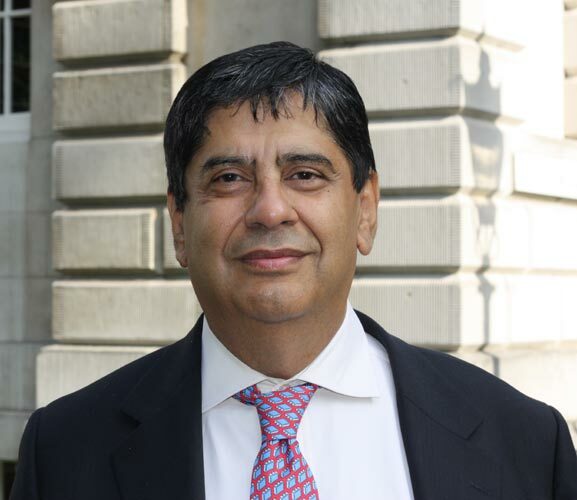 SaroshZaiwalla is senior partner of Zaiwalla & Co Solicitors, a niche London firm specialising in international commercial arbitration and litigation.